SKU: 197. 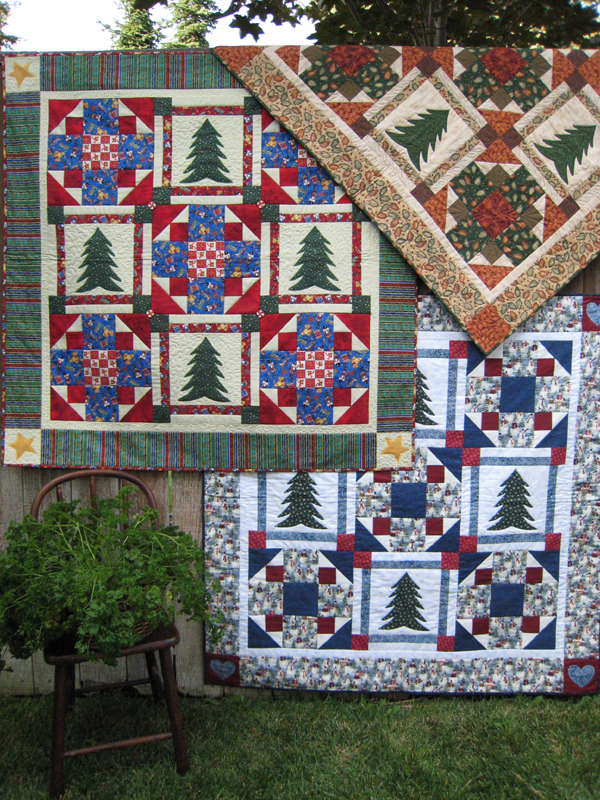 Category: Cross Stitch & Quilting, All Patterns. Tags: 14 count Aida, counted cross stitch, easy pieicing, mini quilt, pillow. A heart warming message that can be stitched on 14 count Aida. 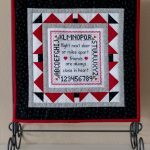 Combine your favorite stitching techniques! 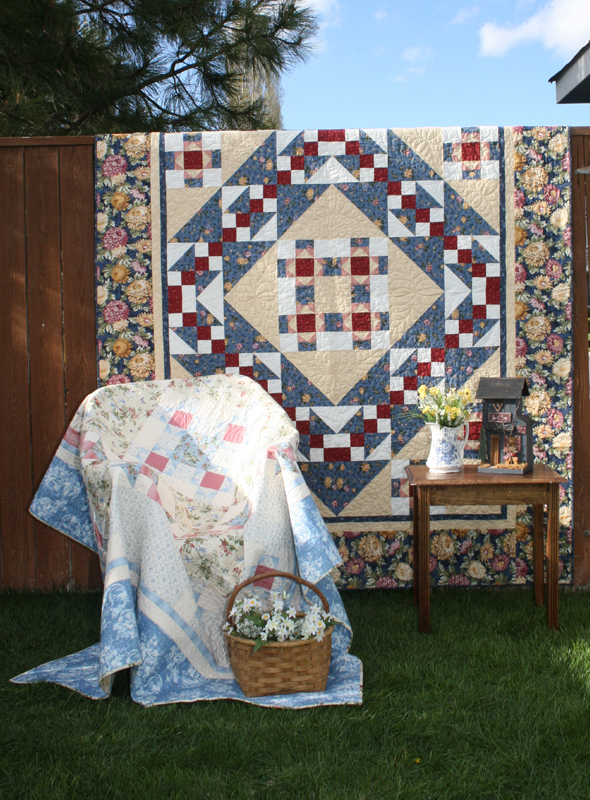 There are 2 different borders that can be sewn on the stitched Aida to make either the quilt on a stand on a table or a shelf or pillow to use in a favorite chair. A wonderful gift for a friend! 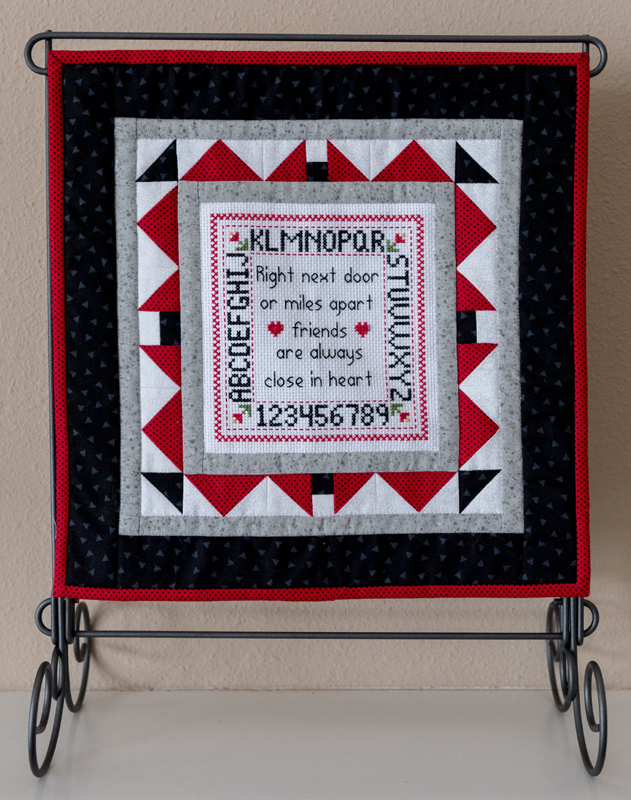 is 6″ x 6 1/4″. 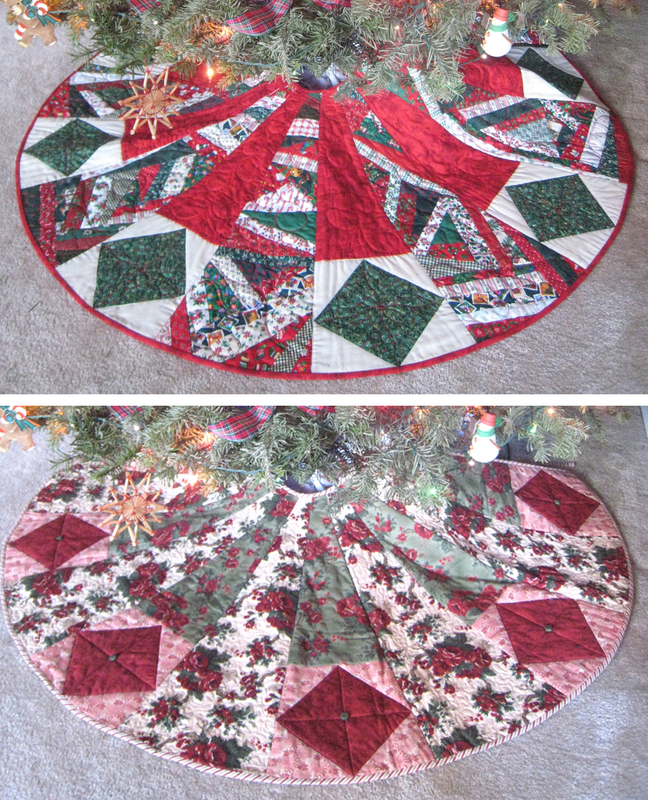 Finished Quilt Size: 12 1/2″ x 12 3/4″. 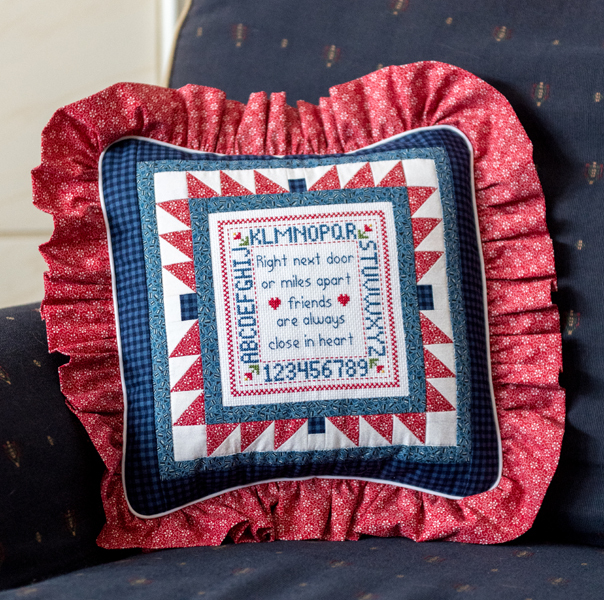 Finished Pillow Size: 12 1/2″ x 12 3/4″.